The breath taking nature and landscapes of the Tyrol offer various possibilities for sports and leisure activities. Many types of sport are dependent on the quality of natural landscapes. The delicate ecosystem and precious nature landscapes have to be protected and preserved for future generations. This is the only way to maintain the opportunity of sports and leisure activities as well as recreation in nature, and to protect the environment. After successfully initiating some best practice models during the YOG (reusable tableware, cup rental, furniture of the Olympic Village, etc.) we are continuously working together with other institutions on projects in order to enable environmentally-friendly and resource-conserving major (sport) events. Together with the Green Event Tirol Initiative we are promoting new projects which meet the “Green Event” criteria. We feel concerned about ecological, economic and social sustainability. 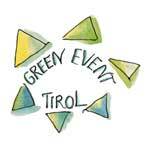 Therefore, we are especially happy about the “Green Event Tirol” label. Our events Innsbruck 2016 International Children’s Games and the Freestyle Days at the Landhausplatz in the summer 2015 have been awarded as “Green Event Tirol”. For us it is nature that counts. Therefore, we do our best to save as many resources as possible in the implementation of the ICG 2016 and with it, to protect the environment. With every decision that we take, we are trying to contribute to climate, environment and resource protection, as well as to social equality. We rely on climate protection and social acceptability rather than the production of piles of rubbish and carbon dioxide. For us it is the Tyrol and the region that counts. We are working with local partners and quality products from the region to develop further our consisting network of local stakeholders.